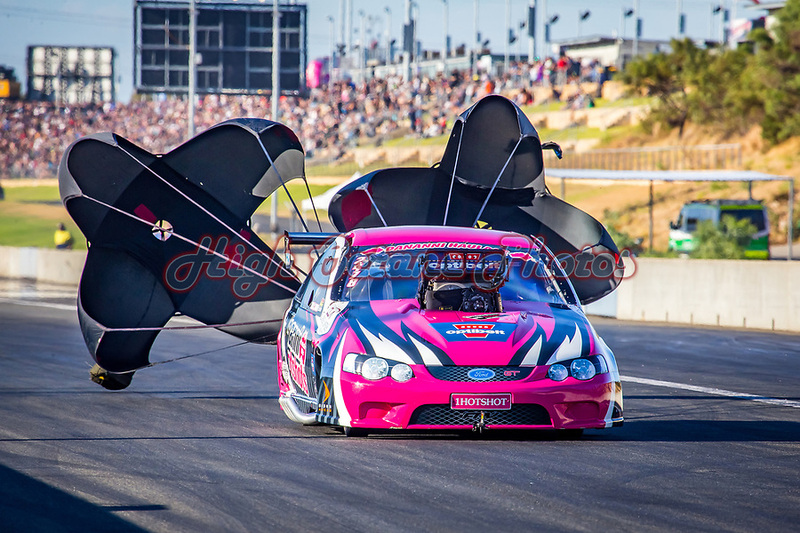 Today's Photo of the Day comes from the 2019 Aeroflow Outlaw Nitro Funny Car Round at the Perth Motorplex and features Hotshots Racing's Ryan Moresby in his Dananni Haulage sponsored BF Ford Falcon Top Doorslammer. 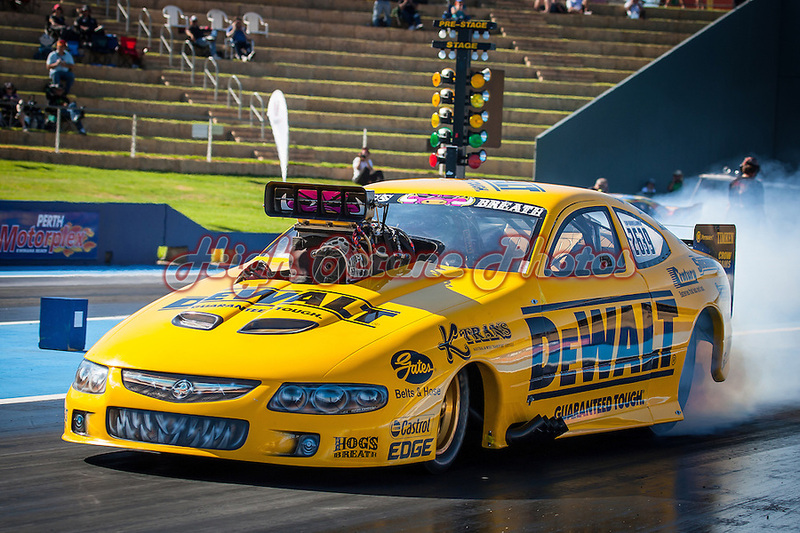 Today's Photo of the Day comes from the Perth Motorplex's 2014 Pro Showdown and features Top Doorslammer racer Ben Bray in his Team Bray Racing Holden Monaro Dooslammer. 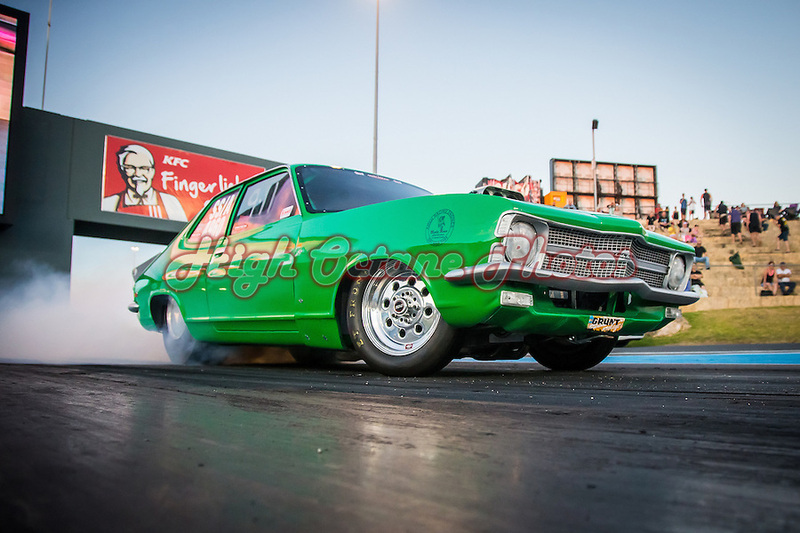 Today's Photo of the Day is from the WA Top Doorslammer and Top Fuel Championship round at the Perth Motorplex in November 2015 and features Super Sedan racer Andy Kahle, seen here in her Grunt Monkeys Racing Holden Torana. 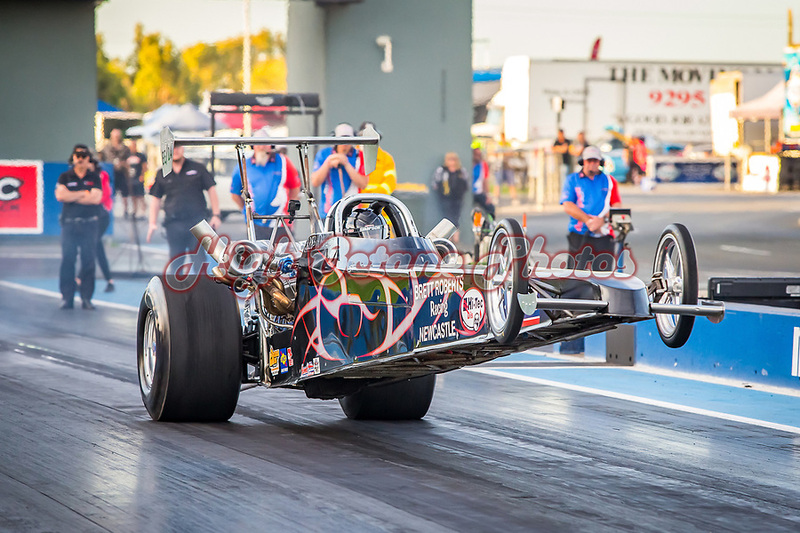 Today's Photo of the Day comes from this years 48th Annual Westernationals at the Perth Motorplex and features Competition Eliminator racer Dave Roberts lifting the front wheels sky high in an uncharacteristic display not only for Dave and this car, but for dragsters in general. Dave is back on track at the Motorplex tomorrow for this weekends ANDRA Summit Sportsman Series Grand Final, where he will be trying to go as many rounds as possible in an attempt to claw himself ahead of Craig Geddes (50 points ahead) to claim the ANDRA 2018/2019 Competition Eliminator title. 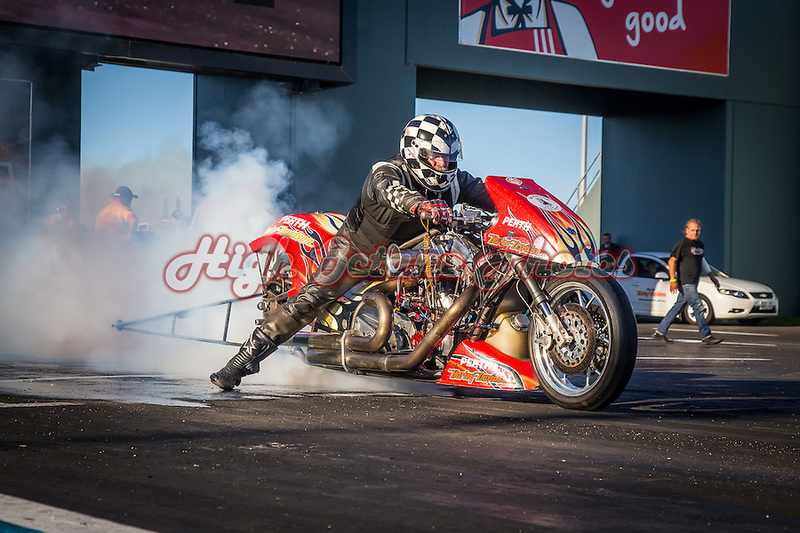 The event is also the Perth Motorplex's Grand Final meeting and racing will be spread over two days, with the majority of the elimination rounds taking place from 10am on Sunday.